Our product range includes a wide range of automatic bolt head trimming & shank reducing machine, automatic cold heading machine for automobile, automatic cold heading machine and flat die thread rolling machine. Automatic Bolt Head Trimming and Shank Reducing Machine is used to make the head of bolt hexagon or square as per the requirement. This machine from our end is completely automatic which makes it very easy to use and operate. This one is made as per the set industry standards and is made available at very affordable rates as well. 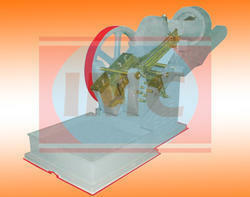 We offer the premium quality Cold Heading Machine that gives high-volume production. The Cold Heading Machine manufactured, exported and supplied by us, is extremely durable as it is made from high grade raw material. 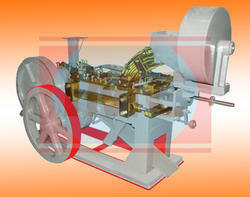 It is designed using the advanced technology; hence it is maintenance free and has long functional life. 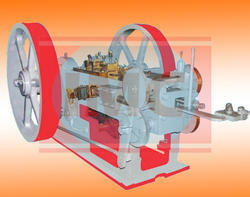 The cold heading machine is extremely safe to use as the Cut-off and knock-out mechanism has various safety devices. Hence, even in the case of any irregular functioning, it avoids the accidents. The Cold heading machine slide has a mobile design that carries two heading punches for the processes of straightening and finishing. The two punches & dies are easily adjustable at the accessible points and can be operated manually. Our cold heading machine has the vertical wire straightening bearing rollers designer equipment that enables straight wire feeding facilitating the processing of long bolt. The various parts of the cold heading machine such as all rollers, roller pins, cames and are made high grade steel which is properly heat-treated and grounded. Each work in our industries requires specific machine, which gives reason to manufacture a variety of machines for different purposes. This is indeed helpful, but when it comes to pick the right machine for the right work, users get in a tight spot. Let’s talk about making ridges on bolts. Now, there are different companies that claim their machines to be the finest in doing this job, however when it comes to the actuality, the world knows that Flat Die Thread Rolling Machine is the only one to do it with excellence. If you have been perplexed with the variety of options available, then you have landed on the right spot, as here we will guide you in and out about this special cast of Flat Die Thread Rolling Machines. This article will give you all the information about this Thread Rolling Machine, which is specialized in making ridge on bolts. We use bolt in our daily life very often, but rarely think how these are made? Or, how they get ridges on it? Well, answer of these questions is Flat Die Thread Rolling Machine. It does not really make bolts, but gives them shape.. The flat die thread rolling machine, also give ridges to the bolts, which are used in the supply of liquid material, from one place to another place. It comes in various models. There are models with which one can make helices on a bolt, whose diameter is less than an inch. Speed of execution of a thread also varies from model to model. Base model of this Machine manufacture 80 pieces in one minute, while the top model of this Machine produce 20 pieces in one minute, but the top model, create helices on four inches bolt. The electricity consumption of Flat Die Thread Rolling Machine also varies with their models, as the base model guzzles two horsepower while the top model guzzled twenty horsepower, which is really a big number, in the consumption of electricity. If you are planning to start the business of producing thread, Industrial Machine Corporation is one of the best manufacturers of these Flat Die Thread Rolling Machines. Flat Die (For thread the job) is also avialable in our ready stock. The D2 raw material is use to manufacture of these flat die. Min. Max. Dia Can Be Rolled 1/16"x1/4" 1/8"x3/8" 1/8"x1/2" 1/4"x5/8" 1/4"x3/4" 1/4"x7/8" 3/8"x 1"
Max. Length of Thread 2" 2.1/2" 3" 3" 4" 4" 4"
Dimension of Fixed Dia 3"x2"x 1" 5"x2.1/2"x 1" 5"x3"x1" 6"x3"x 1" 6"x4"x 1" 7"x4"x 1" 8"x4"x1.1/2"
Dimension of Moving Dia 4"x2"x 1" 6"x2.1/2"x 1" 6"x3"x1" 7"x3"x 1" 7"x4"x 1" 8"x4"x 1" 9"x4"x1.1/2"